All business owners and startup founders want potential customers to find them. And it’s certainly no secret that ALL online marketing requires strategy – including your website. Now, if you have spent time looking deeper into SEO, then you likely know there are multiple factors involved in both on-page and off-page search engine optimization that work together to create successful SEO campaigns. The most crucial element when it comes to search engine optimization is content. It cannot be emphasized enough that content is king, and not just any content, useful content. Search engines unfortunately are designed to favor the internet users. This means that when you are writing content you need to provide information that will be useful to the user and appear relevant to the search engines. Make sure you research and write content that your target audience is interested in and present it in such a way that they will want to read it. The SEO world has been breathing and feeding on keywords for the longest time and keywords still remain the most important parts of SEO today. This is why any process that is aimed at optimizing web pages should first start with a thorough research on the most appropriate and effective keywords. Start with thinking like a consumer. Think of the words your target audience would use to find your business using search engines. Run the keywords you come up with through the keyword tool provided by Google. Select the words that are highly relevant to your website and those that have a good number of monthly searches. After you have identified the keywords that best represent your website, you need to include them in all parts of your pages giving priority to the titles. The title of the page is not the heading of the content; it is the information that appears in search result pages. You need to make sure that the keyword is closest to the front as possible and go for the maximum 70 characters. When your title is visible, your website is visible. A while ago when everything was quite new, you could only fill your pages with keywords and this was followed buy high ranking positions on search engine result pages. Then came the many rules and changes that turned everything around and made things more professional and difficult for most website owners. Today what matters is not how many keywords you have used, but how you have used them. You can use as many as 4 keywords and take advantage of variations. Use synonyms, and other variations to improve the relevance of your website to the topic. The only thing you need to pay attention to here is that the keywords should appear as natural as possible. Meta description is what normally appears below the page’s title on search engine result pages. You are supposed to use this opportunity to describe the content the users can expect by clicking on the page title. If you do not have a meta description in place, search engines might just grab an excerpt from your content and put it there. Though using keywords here will not help the page rankings, they will assist in giving you the control over what the users will be reading. 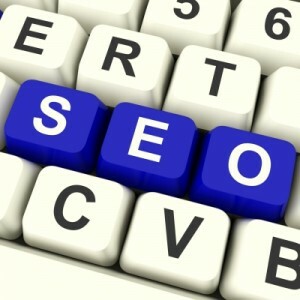 With the above elements, you will have done an important part of on-page SEO. You however need to consider other factors that will also work positively towards improving the visibility of your website.